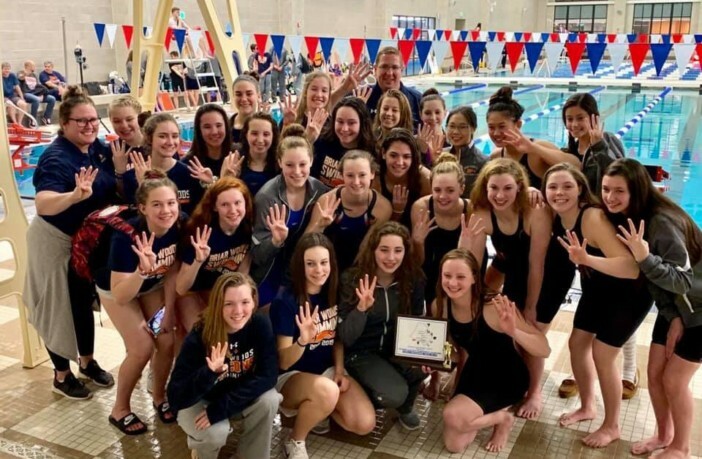 South Riding, Va. — Backed by five individual championship swims, the Briar Woods High School girls swim team claimed the Potomac District championship on January 26 in South Riding. The Rock Ridge High School boys team turned in eleven top-3 finishes and swept the boys relays to win the boys team title. 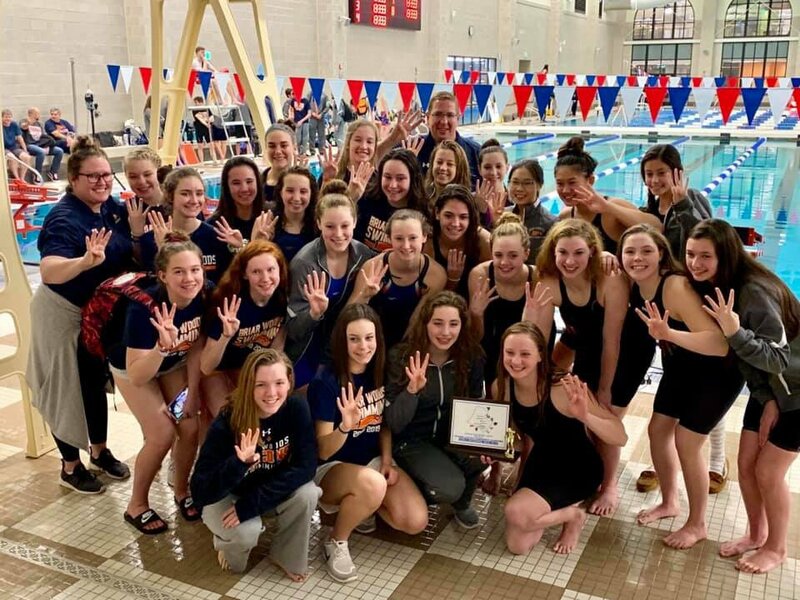 On the girls side, Briar Woods senior Jordan Wenner won the 50-yard freestyle, sophomore Mackenzie McConagha won the 100-yard backstroke and 200-yard individual medley and junior Abby Harter won the 100-yard butterfly and 200-yard freestyle as the Falcons swam past the field by more than 230 points. 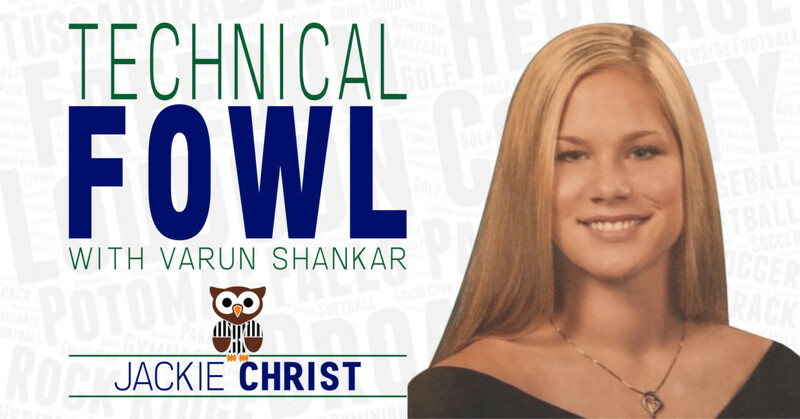 On the boys side, Rock Ridge juniors Reese Fye and Jack Zapp won the 100-yard butterfly and 100-yard breaststroke events, respectively, and the team won the 200-yard medley, 200-yard freestyle and 400-yard freestyle relays as the Phoenix outpaced the Falcons, 456-381.